NexGen is a fleet management system that simplifies the way your heavy equipment rental operation runs. In NexGen, you can quote and schedule jobs, enter labor and complete payroll, track preventative maintenance and inventory, and generate job business intelligence reports. Atom is a mobile application used by field personnel and management to enter quotes, capture signatures, complete safety checklists and track job status. Put a tablet or smartphone in the hands of each of your operators and see how quickly your business operations streamline. Every innovation needs a strong foundation. Technology isn’t meant to replace, it’s meant to enhance, to expedite and to serve the needs of those willing to use it. The Fleet Cost & Care software solution is a tool and it’s designed to work for you. Unleash the full potential of your fleet. Eliminate fragmented and disparate systems that require repetitive data entry points. Use our seamless integrations to capture data and have it automatically exchanged between GPS, accounting, CRM and ELD apps. No more importing or exporting data sets. Key in information and watch it flow seamlessly through one central system across every branch, region or depot. NexGen syncs with the Atom mobile app in real-time; information is delivered to the necessary integrated applications without having to be re-keyed into the system. Improving accuracy and saving time. Improve the workflow and organization of your service department with electronic work orders. Reduce costly scheduling mistakes with a centralized dispatch system. Improve sales with quantifiable business intelligence. Transform the way your rental operation runs. Gain economic insight with reports and dashboards for a high-level review of your rental fleet and pertinent data. See where you can improve usage patterns and increase profitability. Maximizing utilization directly correlates with maximizing profitability. Implement the Atom mobile application for all of your operators and field personnel. Use it to electronically submit labor hours and job data back to the office while out in the field. Eliminate paper and needless travel while propelling your business operations into the modern era. Ensure safety and compliance at every stage of a job. Use NexGen and Atom to manage and track safety and personnel certifications, ensure proper safety protocols are followed, ensure digital safety checklists are completed and reduce liability with electronic signatures. Fleet Cost & Care has been a leader in software development, training and support products designed the construction, crane, rigging, and other equipment rental industries for more than 25 years. 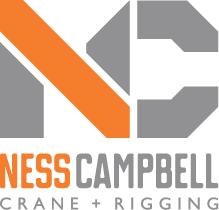 We are affiliated with the JJ Curran Crane Company based in Detroit, Michigan and benefit from 65 plus years of experience in fleet related ownership.